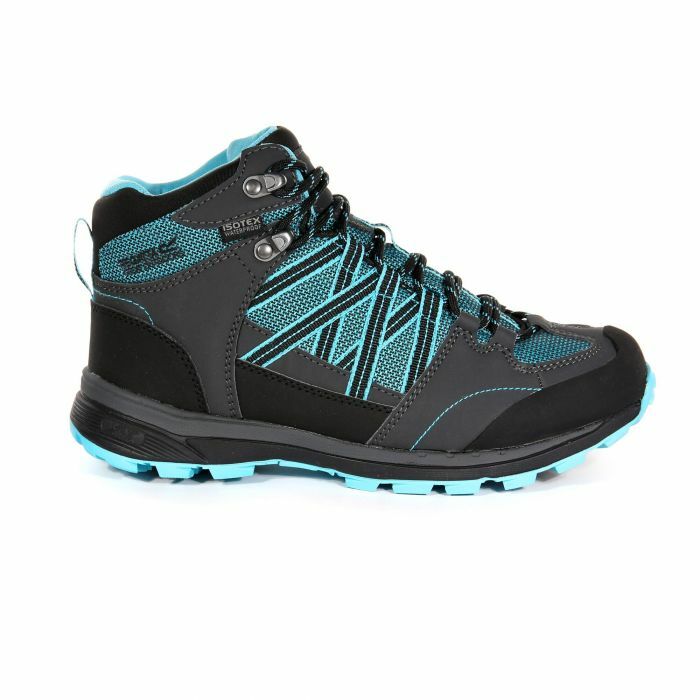 Sleek, fast hiking boot with a lightweight X-LT sole. Engineered from tough wearing endurance mesh with extra space around the toes to allow natural movement on climbs. A seam-sealed waterproof/breathable ISOTEX membrane and HYDROPEL upper treatment delivers breathable, weatherproof performance. Weight-saving X-LT sole technology combines shock-absorbing cushioning at the heel with a hardwearing carbon outsole for lasting comfort on tough hikes. Weighs 380 grams.